Andres Roots Roundabout: And MORE Lerwick Reviews! "Simply cool... With a very stripped down approach but with modern amplification, the notes soar... Some great harp riffs... Roots again demonstrates his finesse on slide with super tone... A real feel of a Muddy Water's band, sans Water's voice. This band is tight," is Bman's Blues Report's assessment of "Live In Lerwick" - read the whole story from the Arizona webzine here. 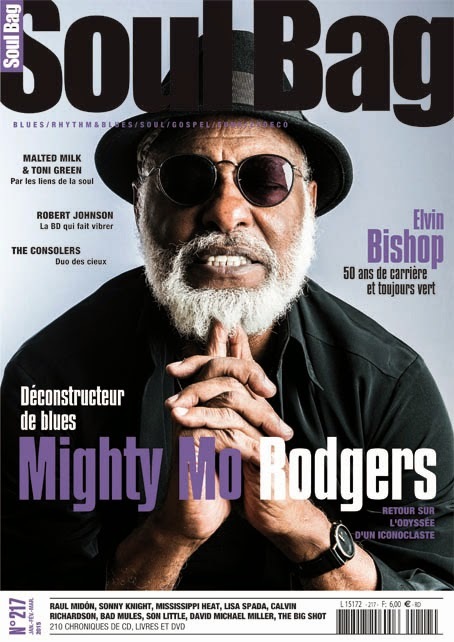 Meanwhile in France, Christophe Mourot writes in the latest issue of the Soul Bag magazine: "Classic blues from Memphis Minnie to Junior Wells, via Robert Lockwood and Johnny Shines - the programme is superb!"